It’s just the matter of proven ways that sellers and eCommerce owners need to adapt to grab qualitative user engagement. This is the era where people can buy everything online. E-commerce industry has witnessed so many changes from past many years but the biggest transformation online sellers noticed is the way users engage with the brands and their associated products. In the race of winning users’ hearts, many eCommerce stores lag behind and are unable to impress users dramatically. 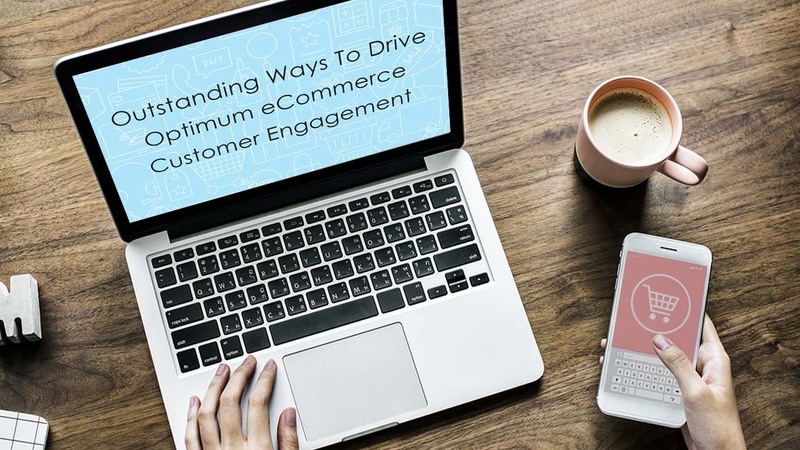 To reduce their hassles and to provide them fruitful paths, we have accumulated a few proven methods that are the prime reasons behind better & increased e-commerce user engagement. Excellent web design plays a significant role in grabbing customer’s attention and a great majority of people agree with this. If you are an eCommerce store owner, you need to build a storefront with an appealing layout and smooth navigation. This helps customers find their path easily and reach the product they are eagerly searching for. Customers mostly stuck to the point where they find it convenient to move ahead. Else, they prefer to leave the non-appealing website. So, without any doubt in mind, start working on your store’s navigation and make it worth-exploring for your prospects. Every web-page must have quality content uploaded for the users to understand. Creative and valuable content lets the users stay on the page for long which generally increases the traffic and e-commerce engagement rate. Apart from the product pages, you should also focus on distributing creative content on different social sites and other revenue generating platforms. It is said that good content not only attracts customers but also helps determine their state of mind. Enticing calls to actions lead users interaction to the next level. Users quickly get attracted with the CTA and the purpose written over it enforces them to click it for once. If you also want to make it happen with your e-commerce store, designing compelling CTA’s will help you attain great customer base. It would be an added advantage if you promote your products over all the revenue generating and social sites. Doing this will publicize your brand and all the associated products on a large scale. There’s no one who doesn’t use social media. Introducing your eCommerce storefront on social media will help engage the customers better than any other methods. It’s the best way you can choose to quickly increase commerce user engagement. Images have the power to solely divert customers. Thus, it would be fantastic if you add business’ relevant, exquisite and appealing images to your storefront’s gallery. This will add a charm to your site and provide users with an additional area to explore your excellence. There is no doubt that you can conveniently gain user’s attention by preparing an image gallery including pictures of best-selling products and the facts you think are positive for your brand. The list of proven ways will be considered as the finest way to drive quality traffic to an e-commerce website. Using these tricks may make your store one of the best and competitive shopping sites. You can achieve all your desires only by utilizing the given tips properly and under expert guidance. The author is an eCommerce web development professional at Sparx IT Solutions. He is highly engaged in making e-commerce stores more lively and user-friendly for customers. Apart from his development skills, you can also have a glimpse of his excellence in writing where he generally drafts topics related to e-commerce improvement.